Connecticut – (September 19th, 2016) – JB Design (www.jberrydesign.com), a fully integrated creative agency, today announced that it has been named Lead Creative Agency for Branding and Identity for The Goodwin Hotel in Hartford, CT, which is due to open before the years end. The agency was awarded lead creative duties after The Goodwin Hotel held an open call for proposals this past summer. 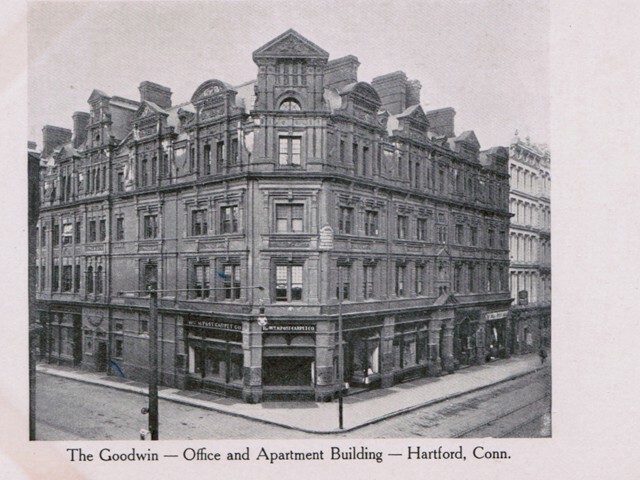 The Goodwin Hotel, is a historic former hotel and apartment building located in downtown Hartford, Connecticut. Known for its distinctive English Queen Anne terracotta facade, the building was originally developed as an apartment building by brothers James J. Goodwin and Rev. Francis Goodwin and opened in 1881. It was a very prestigious address at the time, with even J.P. Morgan living there during his visits to the city of his birth. The Goodwin Hotel, closed since 2008, will reopen its doors as a unique, boutique hotel with very strong historical and cultural ties to Connecticut’s capital city. JB Design’s creative duties for The Goodwin Hotel will include the strategic and creative development of the next generation of The Goodwin’s identity. JB Design will work to create a cohesive, multi-media system of communications aimed at engaging an emerging culture of Millennial and Generation Y hotel seekers. Expanding upon JB Design’s impressive body of work, this will be the second hotel brand re-fresh that the firm has done in as many months. The image featured left is a Pre-World War Post Card found during research.